I was tickled when Joe Brown’s got in touch, my daughter always wore this brand in her teenage years. So I got to tell her nicky nicky ner ner I’m not too old to wear this brand!…. The brief was to choose something to wear and find something colourful to feature it against. This wall actually belongs to the playschool round the corner to wear I live. After driving round to find something bright, I forgot that this was right under my nose! This is a sleeveless dress, and although it was sunny it was way too cold ! I layered it with a long sleeve T shirt. I look forward to wearing it without the T shirt ! As it turns out, when I looked through the Joe Browns site I can see that they have grown up a little bit too. I was pleasantly surprised that I couldn’t make up my mind on what to choose. Here are some of my favourite pieces …. Not bad prices either, and beautiful colours for summer. 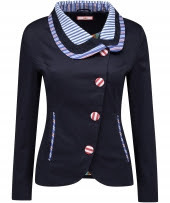 The jacket and waistcoat I think will look perfect with jeans. 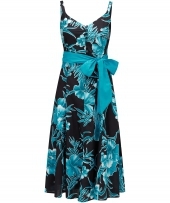 Take a look at the Joe Browns site, I think you will be pleasantly surprised. 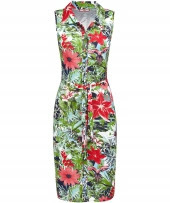 I like the print of the dress, you're rocking it well. 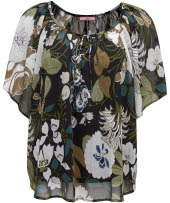 You are definately not too old to wear this brand and that tunic looks so perfect on you for spring! 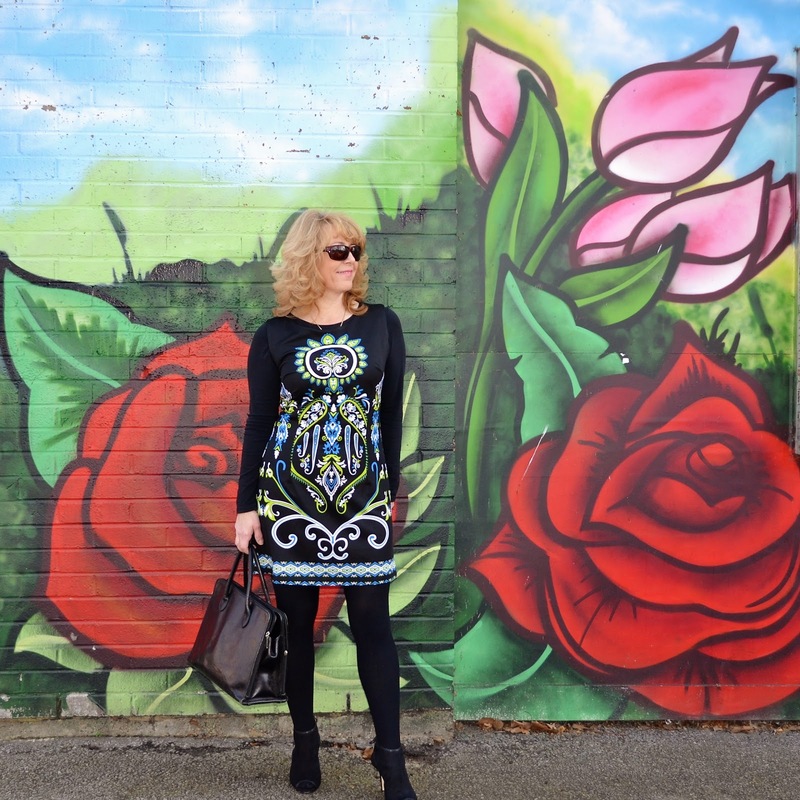 Thank you so much for joining the DRESS TO IMPRESS fashion linkup last week with this look! Hope to see you again this week! I really love this dress! The embroidery and color look great on you.I also love the black tights wit the heels, very chic head to toe, and i need to find some cool backdrops! You look fabulous, Laurie! That dress is so pretty! 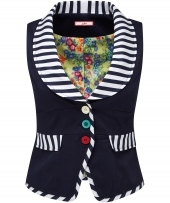 I'm also really drawn into that nautical waist coat and the garden party dress. Who doesn't love a garden party dress? Plus, I have a thing for belted dresses and coats. 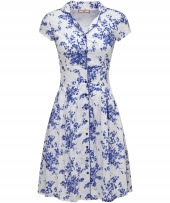 Oh wow, what a beautiful dress Laurie, I love Joe Browns dresses!! Love that cool tunic dress and the background is fabulous too! Great shot, Dear! Thanks so much for sharing with Fun Fashion Friday! I absolutely adore that sheath with the fun colors and pattern. You look fabulous and look at those legs!